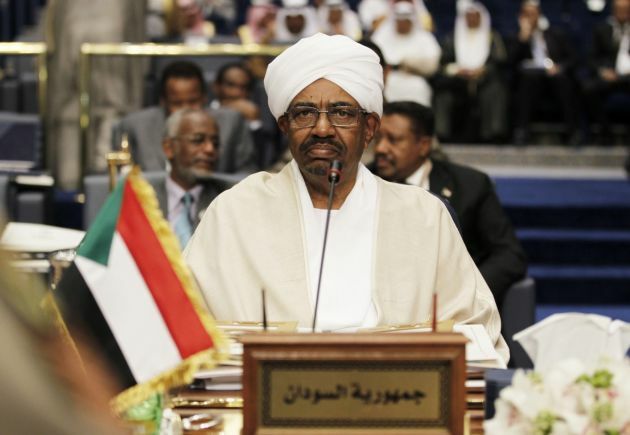 (Photo: REUTERS / Hamad I Mohammed)Sudan's President Omar al-Bashir attends the closing ceremony of the 25th Arab Summit in Kuwait City, March 26, 2014. The general secretary of the World Council of Churches, Rev. Olav Fykse Tveit, wrote to Sudan President Omar Hassan Ahmad Al-Bashir in June about religious freedom after a Sudanese court sentenced Meriam Ibrahim to death for refusing to renounce her Christian faith. A group of United Nations human rights experts has expressed alarm after a female Sudanese student, Ferdous Al Toum, was sentenced to public flogging and a heavy fine for charges of 'indecent dressing'. Another student, Rehab Omer, received a hefty fine for the same charges. "This outrageous conviction must be overturned and the girls must be immediately released," the UN experts urged. "We also call upon the Government of Sudan to repeal all legislation that discriminates on the grounds of gender and to comply with international standards." On 16 August, Ferdous Al Toum was sentenced to a flogging with 20 lashes and a fine of 500 Sudanese pounds ($US82), the noted in documenting the cases. Earlier, on 14 July Rehab Omer Kakoum was sentenced to a fine of 500 Sudanese pounds. Both girls have filed appeals, but no date has yet been given for the appeal trials. On 25 June, Sudan's Public Order Police arrested 12 female students, most of whom are Christians and aged between 17 and 23 years old, originally from the war-torn Nuba Mountains in South Kordofan State. They were taken by Police in front of the Evangelical Baptist Church in Khartoum North, where they had attended a ceremony, and were brought to a local police station there. At the time of their arrest, some were wearing trousers and others skirts. It was reported that the police subjected the students to degrading treatment and humiliating verbal abuse during their detention. Two of the students were released about four hours after their arrest. The 10 others were released on bail on 27 June but charged with "indecent dressing" under Sudan's 1991 Criminal Act. This gives the police extensive powers to arrest any person deemed to have dressed indecently. The punishment, if they were to be found guilty, would be 40 lashes, or a fine, or both. The law has been reported to be used exclusively against women said the U.N. experts. These 10 women were taken to court on 28 June where the charges against them were confirmed and court dates set. One student, Fardos Al Toum, 19, appeared in court on 6 July, wearing another dress deemed indecent by the judge. The experts said the judge disregarded any due process and immediately sentenced her to a fine of 500 Sudanese pounds ($83) or a month in prison. Her fine was paid by human rights defenders and she will appear in court again in relation to the original charge. Cases against eight of the 10 female Christian students charged with 'indecent dressing' under Article 152 of the 1991 Penal Code of Sudan have concluded with either a not guilty verdict or a fine being imposed. But the other two girls have been sentenced to flogging and/or heavy fines. The U.N. human rights experts have officially expressed concern to the Sudanese authorities about current legislation that allows corporal punishment of women. They say such violence has devastating consequences on the physical and psychological integrity and well-being of women. "There is a pressing need to address the pattern of discrimination, abuse and torture as well as the oppression and denigration of women in the country," they said. "We urge the Government of Sudan to put an end to these grave violations of women's human rights." ● The U.N, experts: Eleonora Zielinska, chairperson-rapporteur of the U.N. Working Group on discrimination against women in law and in practice; Dubravka Simonovic, U.N. special rapporteur on violence against women, its causes and consequences; Aristide Nononsi, U.N, independent expert on human rights in the Sudan; and Juan E. Méndez, U.N. special rapporteur on torture and other cruel, inhuman or degrading treatment or punishment.